Michelle Berberich (the Boston Crusader on the right below, who also marched with the East Coast Jazz for four years) submitted this one. 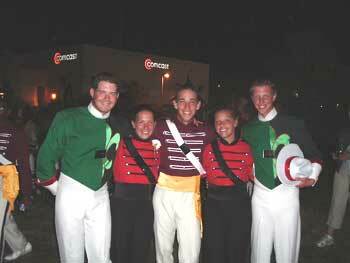 "This picture was taken right before Division I retreat at finals in Denver. Even though we all are competing against each other, it's always nice to make a new friend." Thanks Bill!